"Quarter To Three" includes "Oh, What A Night" in the midsection. 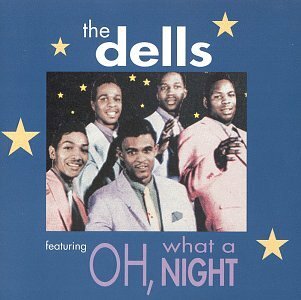 "Oh, What a Night" is a song first recorded by the doo-wop group the Dells and released in 1956, originally under the title "Oh What a Nite". The song is said to have been inspired by a party, which had been held in the Dells' honor by some female friends of the group. The Dells' original recording on the Vee Jay label peaked at number four on the R&B singles chart. In 1969, they refashioned it as a soul song on the Cadet label. The new "Oh, What a Night" was notably different from its original counterpart with an altered arrangement and tempo, and included a spoken recitation, in the introduction, from the bass member of the group. That's why I love you so!